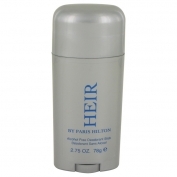 Heir by Paris Hilton is a Aromatic fragrance for men. Heir was launched in 2006. The fragrance features leather, sandalwood, amber, patchouli, lavender, musk, fir resin, balsam fir, mandarin leaf and bergamot.